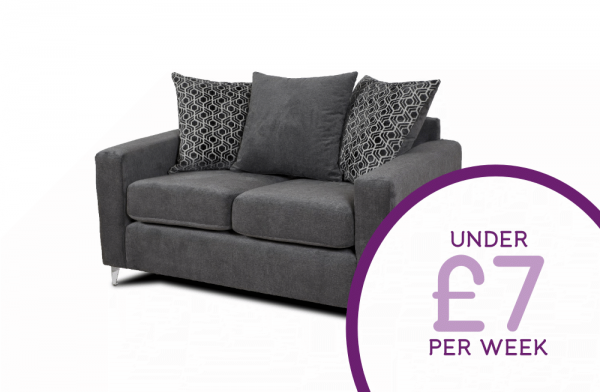 This 2-Seater Alexis sofa comes in a grey fabric which will sit beautifully in your home. The scatter back design creates a modern and stylish feel. This beautiful Sofa also comes in a 3-Seater sofa, chaise and corner sofa. Pay weekly, live stylishly.